BA charts N° 1705 and 2114. The port is ISPS compliant. Dangerous goods : IMO 1 not accepted. Other IMO Classes on request. Pilotage compulsory for all vessels over 45 m LOA and for ships with IMO cargoes. Time from anchorage to berth less than 1 hour. All port area closed with fences and under video circuit control. Because Port-La Nouvelle is a regionally owned port, the Harbour Master refers both to the State and to the Regional Council of Occitanie / Pyrénées-Méditerranée. For the State Authorities, the Harbour Master has authority on the traffic control, regulation of hazardous commodities, security and safety measures as well as assistance to ships in difficulty. On behalf of the Region, he manages the berthing of all vessels, coordinates all port services including pilotage an d towing …) and ensures the conservation of coastal public property with regards to pollution and risk prevention. Maritime pilots are commissioned by the State to assist the ship’s Masters for the conduct of ships entering and leaving ports. The pilot has a perfect knowledge of the harbour and its local navigation rules. If the primary mission remains the pilotage of vessels, the pilot, in conjunction with the Port Authorities, contributes to the traffic management in coastal areas and channels with the aim of ensuring the safety, protection environmental protection of, and fluid movements to and from the ports. Pilots are available 24 hours a day depending on the size and type of vessels and weather conditions. 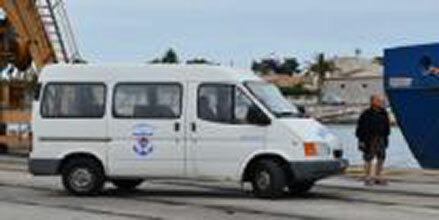 The Pilots of Port-La Nouvelle operate from two pilot stations : Port-La Nouvelle and Port-Vendres. At Port-La Nouvelle, linesmen are integrated to the Pilot Station. Operations are therefore perfectly coordinated. The Société Nouvelloise de Remorquage (SNR) has operated in Port-La Nouvelle for the last thirty years (15 April 1982). 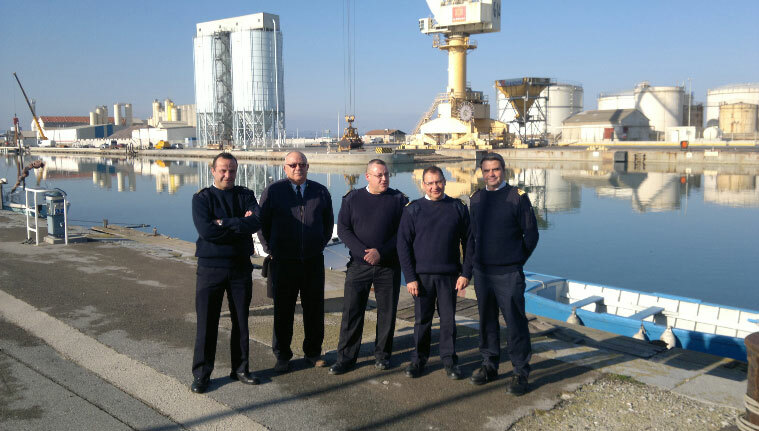 The Company assists ships in all berthing activities working alongside the pilots and Harbour officers. In addition, the SNR is involved in port security. The team can be mobilized immediately offering a full service 365 days per year, 24 hours per day with only 30 minutes notice. 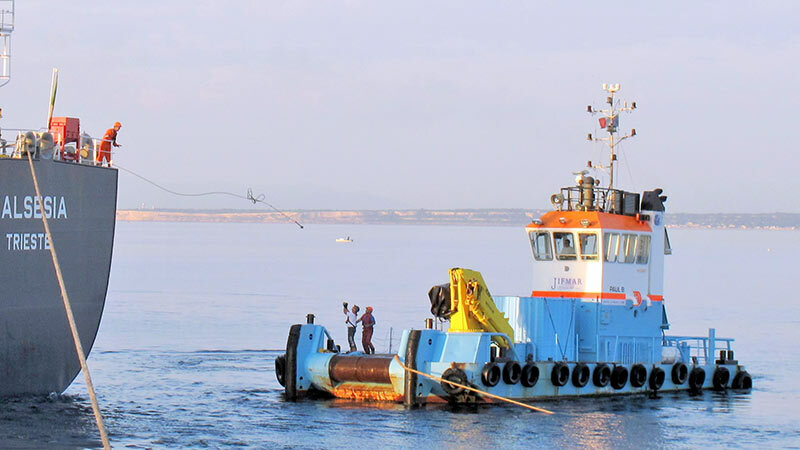 The towage Company owns 2 tug boats, one with a capacity of 12 tons bollard pull capacity (MV GRIBI), and a second unit with 22 tons bollard pull (MV AEOLOS) as well as a boat for all types of maritime works. The Société Nouvelloise de Remorquage (SNR) has operated in Port-La Nouvelle for the last thirty years (15 April 1982). 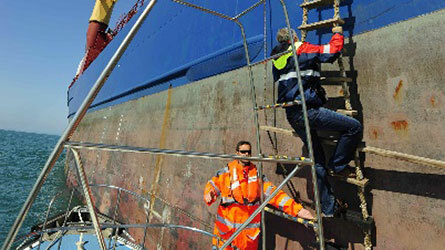 The Company assists ships in all berthing activities working alongside the pilots and Harbour officers. The SNR also proposes offshore services. The Company JIFMAR OFFSHORE SERVICES offers a wide range of marine services: inspection, maintenance and repair on surface or underwater, project management, offshore services (oil and gas, wind farms), assistance to marine works, ROV services, maintenance of port terminals etc. JIFMAR owns several ships, barges, remotely operated underwater vehicles and many specialized equipment. At Port-La Nouvelle, JIFMAR OFFSHORE SERVICES operate the sealine for berthing tankers (mooring, pipe connection, general monitoring, safety, anti-pollution support). The group has several offices in France and overseas (Mayotte, Algeria, United States). Shipowners do not have an office in every port in the world. They delegate their interests, during the time of their ship’s call or via a contract, to representatives : the shipping agents. To date, the Commercial Port of Port-La Nouvelle does not welcome liner services. 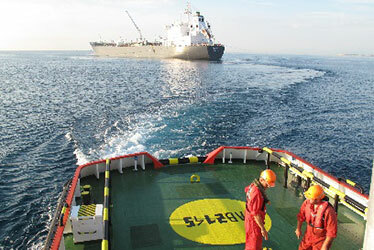 Its activities are entirely operated with chartered vessels. The Port directory of this website gives the list of maritime agencies and ship brokers working in the port. The Seamen’s Club is an association which welcomes merchant seamen during their call. Thanks to a team of volunteers, sailors can go shopping, call their families by telephone, meet local people and become familiar with the city. The team also assist seafarers with administrative procedures. Welcoming mariners is always an advantage for a port.